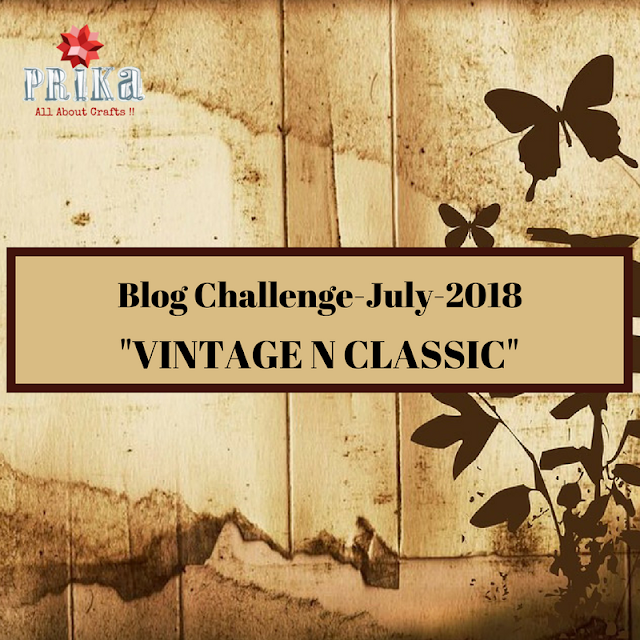 I am here on Prika's blog today sharing my first entry for ongoing blog challenge "Vintage and Classic" creating this vintage clock layout...hope you all like it. Step.1: Paint 2 coats of gesso all over MDF, after drying with the help of ink blending tool..mix colours on it. Step.2: Decoupage with tissue napkin and printed paper. 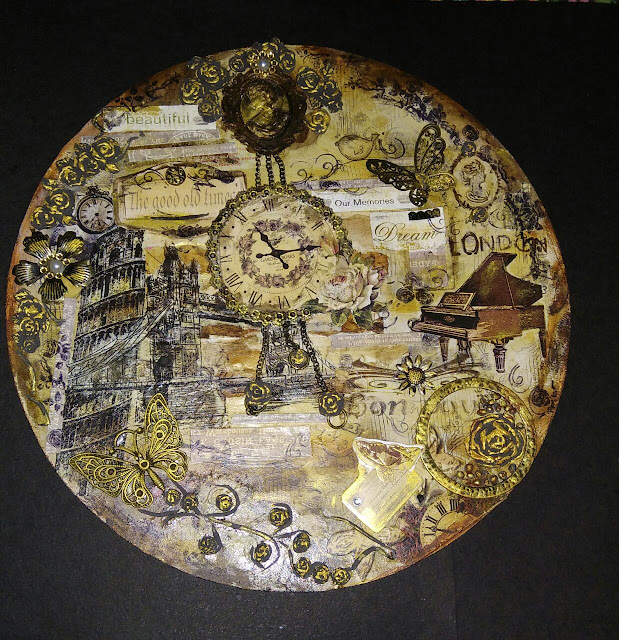 Then cut various cut outs and stick it with the help of decoupage glue on the MDF. Step.3: Use stamps all over and with the help of silicon mould and air dry clay, make different flowers and also mould a figure. Step.4: Stick all flowers and figure on the MDF and stick an antique chain as well as 3D Clock picture. Step.5: Embellish it with 3D stickers and metal charms. Step.6: Use Inca Gold to create an antique vintage look. Thank you....leave some comments below if you liked my project.